I still remember the first time I came across Milton. At the maternity ward. The nurse brought a box with the lotion and I rang Grumpy Boyfriend to get the same for us once I would be back home. That was it. The start of a very particular love story. And I am certainly not the only one to have a similar histoire with Mitlon, non? The ‘Milton Method’ of cold-water sterilisation has been used by millions of parents over the last 30 years. Some water and a bit of Milton sterilising fluid et voilà! The brand has more recently launched a microwave steam method. But the label is more than a great ally for parents with babies! Once le Frenchie bébé has grown up, we were still using Milton’s items. Even to that date, the brand is keeping the Frenchie family safe from germs. We recently received a fab little kit for us to use at home! The wipes are handy when we are out and about, while the antibacterial spray is in the kitchen, ready to help me be a goddess in the house! 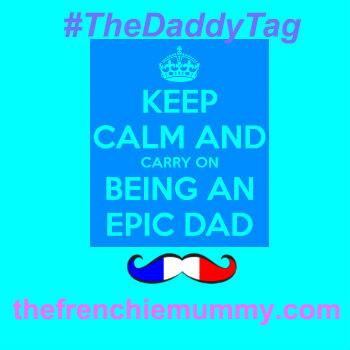 And when I have to clean one of Baba’s famous dirty Frenchie poops, I always have the hand gel in my bag! Because we know what it is like to be a maman, we have one Milton Hygiene Kit to give away to one of our lucky readers. Loving the famous brand? 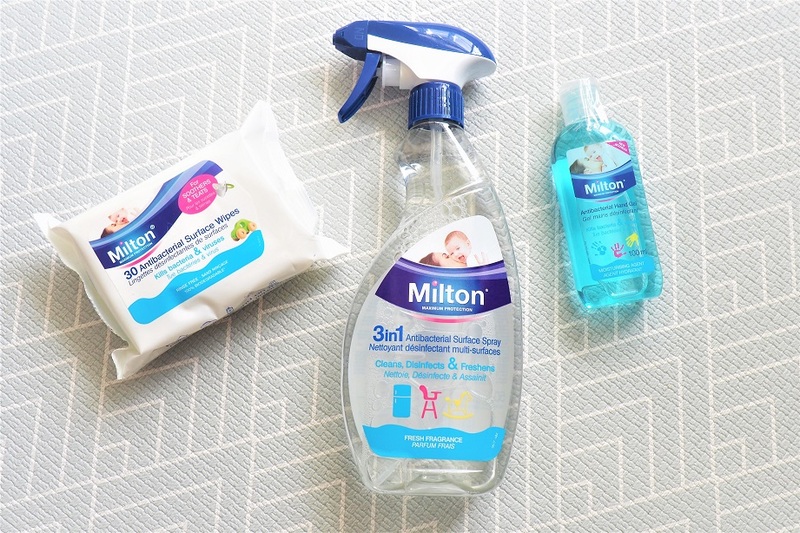 Milton hygiene products kill 99.9% of germs so that your family and home can remain safe at all times! And because we are soon back to school, the last thing we want would like for our little ones to get a naughty bug and be sick! So be prepared now! Enter our giveaway via Gleam for a chance to Win a Milton Hygiene Kit! This giveaway starts on Sunday the 19th of August at 4.30 pm and ends at midnight on the 19th of September. Provision of the prize is the responsibility of Milton. Frenchie Mummy can’t be held responsible. 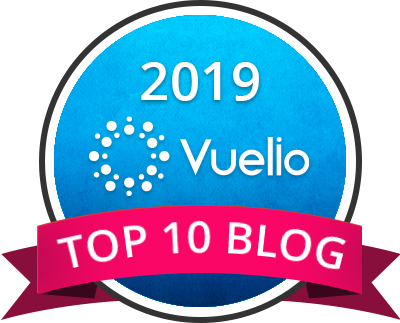 Merci for reading our post as always! Disclosure: We received a Milton Hygiene Kit for free. I would say the antibacterial wipes because they are versatile and I can use them on a lot of things. I love the Antibacterial Surface Spray. Original cleaning fluid, last used for cleaning after the boy had been investigating owl pellets!!! The antibacterial wipes because they are perfect to keep in my bag and to use when out and about. Milton tablet, great for cleaning tea / coffee stains off mugs and cups. Just dilute as per instructions. The wipes, they’re so easy to use. Milton Sterilising Fluid. Have used it diluted to clean kitchen worktops. I love the wipes – so convenient! Can never have enough antibacterial wipes! has to be the wipes! Especially with 7 children! 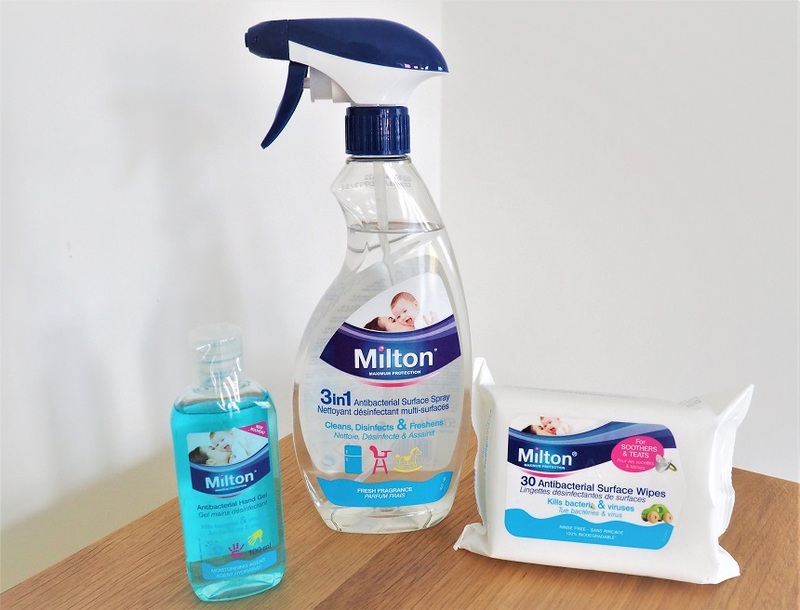 We use the Milton anti-bacterial spray on all work surfaces and we use the wipes on toilet handles and seats. I really love Milton products. My all-time favourite is the Sterilising Tablets, they can be used for so many things! I love the antibacterial hand wash. Perfect way to keep germs away when your out and about and no sinks are around. Milton Antibacterial Surface Spray is fantastic! Milton Sterilising Fluid, as so reliable.